The Mammoth Lakes region is a unique geologic area, filled with endless and unique mountain features and visuals. In an age of overused adjectives, it truly is spectacular. This notch of the High Sierra is located in southern Mono County of eastern California. “Mono” is an Indian word for “beautiful.” The County’s land mass is ~95% government owned/controlled. The area includes the pristine high altitude backcountry of the Sierra Nevada including the John Muir and Ansel Adams Wilderness Areas, the Inyo National Forest, and the high desert environment of the western edge of the Great Basin. This was home to the migratory Indians of the centuries before. The primary economic engine of the region is recreation and tourism. The world class ski area and associated amenities at Mammoth Mountain are the substantial portion of draw and revenue in winter. In summer, the visitors are widely dispersed in the the local backcountry, camping in the multitude of surrounding campgrounds, or enjoying variety of resort accommodations mainly in Mammoth Lakes. Summer recreation includes hiking, climbing, fishing, biking, etc. There are a wide variety of special events promoted throughout the year to draw additional visitors. The area is also the eastern access to adjacent Yosemite National Park. 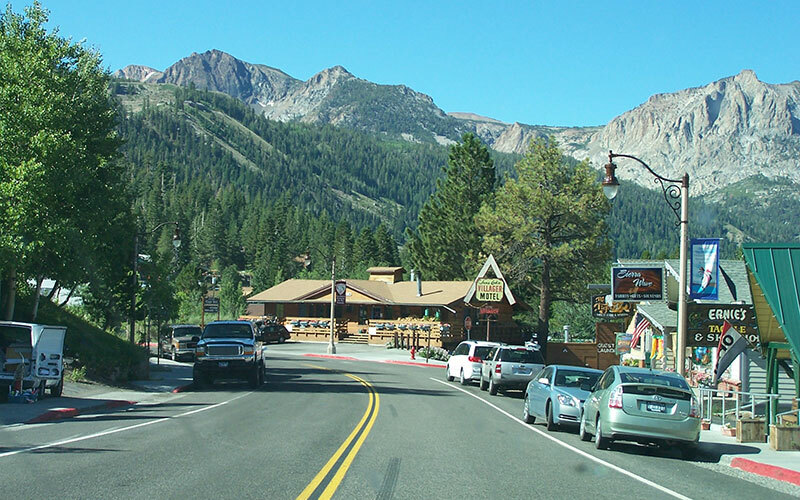 The Town of Mammoth Lakes was incorporated in 1984. It is the most significant community in all of Mono County (~12,000 residents total). It is a modern mountain resort community with schools, hospital, etc. It is approximately four square miles that sits at the base of Mammoth Mountain Ski Area. It has over 2,000 residential homes/lots and over 8,000 condominiums. It has a variety of commercial districts and shopping, two golf courses, extensive bike paths and trails, and Mammoth Creek flows through the middle of town. June Lake is a quaint Alpine community. The setting is sometimes described as “the Switzerland of California.” The private land mass is nestled through stands of pines and firs surrounding crystal blue lakes and lush meadows. June Mountain Ski Area is a smaller but popular resort. There is a small village with modest amenities. There are a handful of small condominium developments and residential subdivisions both old and new. There are funky old cabins to massive new luxury mansions. 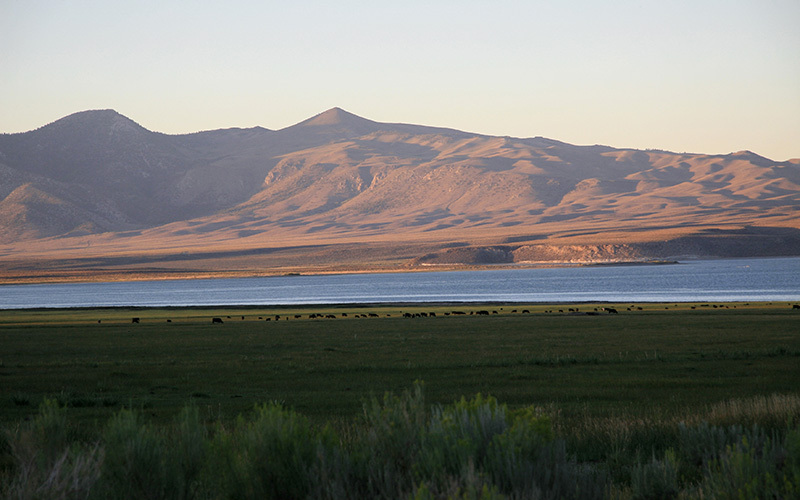 The community of Crowley Lake is adjacent to the same-named renowned fishing lake. 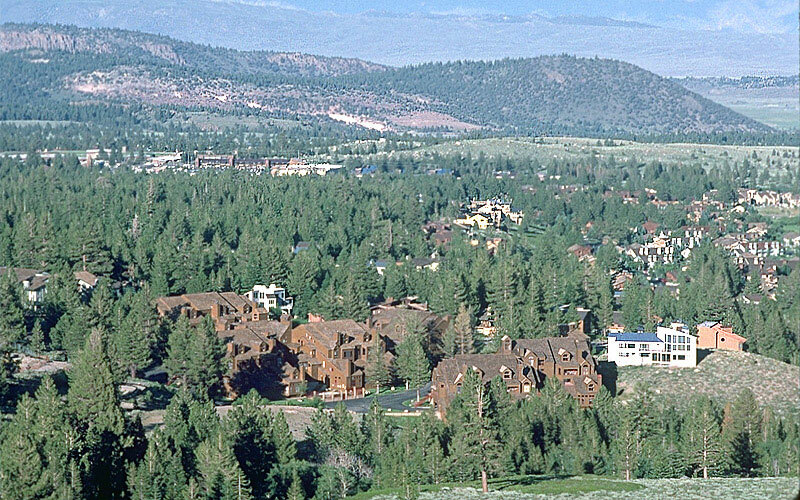 While it could be considered a “bedroom community” for Mammoth Lakes, it is increasingly popular with second homeowners. Due to its lower elevation, “summer lasts a month longer and starts a month earlier” than Mammoth. The area receives approx. 25% of the snow accumulation of Mammoth. There are a couple of condominium projects but the area is mostly residential. There are some historic motels and a small commercial center and a community center with adjacent public amenities. The more recent subdivisions feature half-acre lots that are perfect for large homes with over-sized garages and room for play. The Mammoth Lakes region largely remains a pristine scenic open space with vast recreational opportunities. A small permanent population is complimented by significant second homeownership and high levels of seasonal tourism.